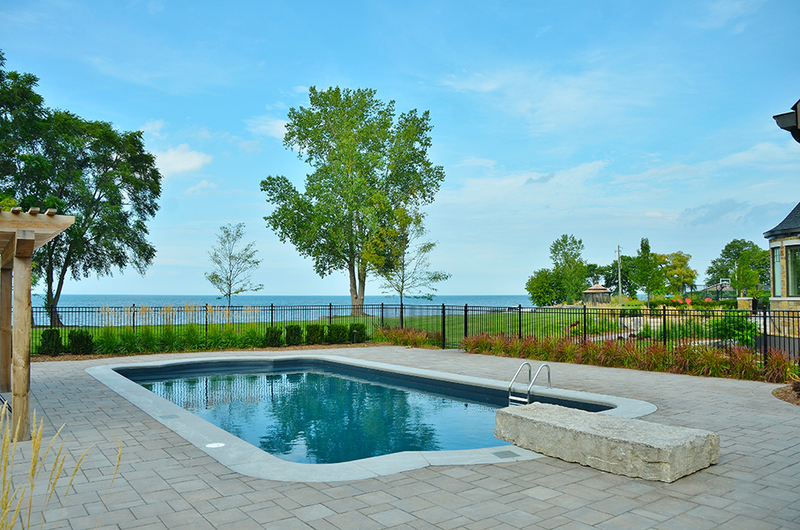 At first glance you may imagine the Lorangers pool to be located in a southern state overlooking the ocean. 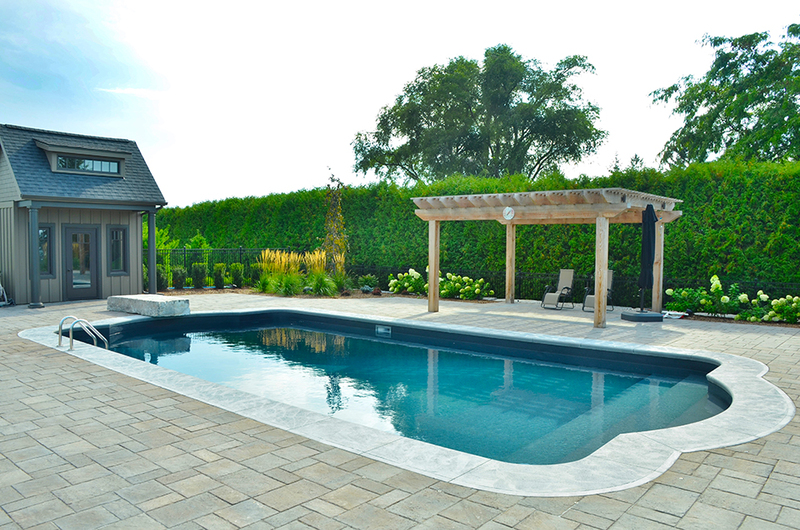 In reality, this breathtaking retreat is placed perfectly right in Niagara where this beautiful Roman Inground Pool acts as both a stunning accent piece, and a functional oasis. 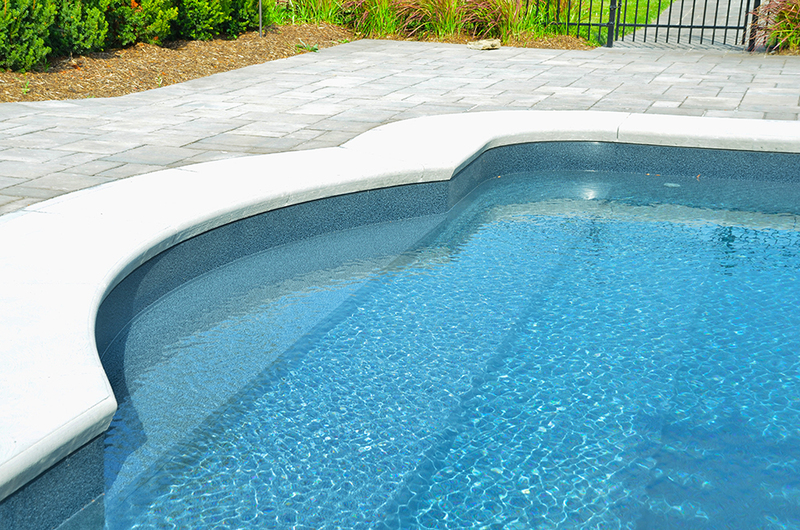 The Carribean Grey liner pattern provides a deep rich blue which mimics the water just a short distance away. 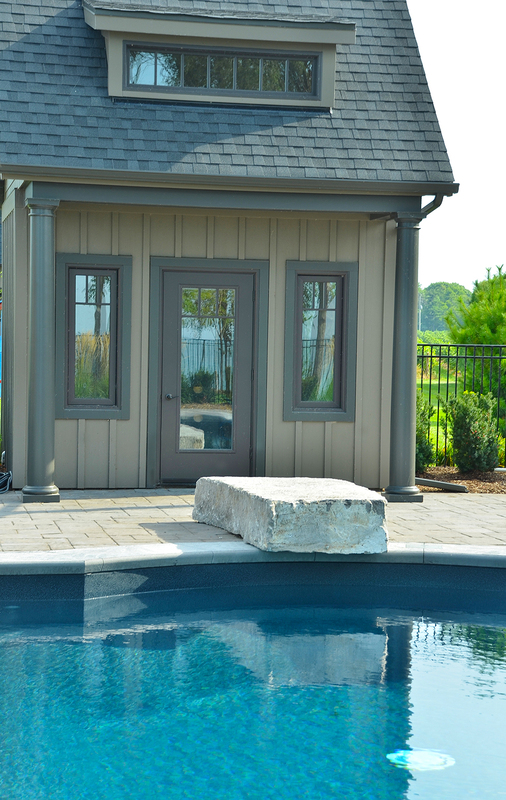 Enter this breathtaking retreat using the Vinyl Over Steel Steps that provide a seamless look in the shallow end, or have some fun and enter in the deep end using the perfectly place Jump Rock. You morning laps will never be more satisfying knowing you have this elegant escape right in the heart of your own backyard.